Pittsburgh Glass Center (PGC) is internationally recognized as one of the United States’ premier glass facilities. 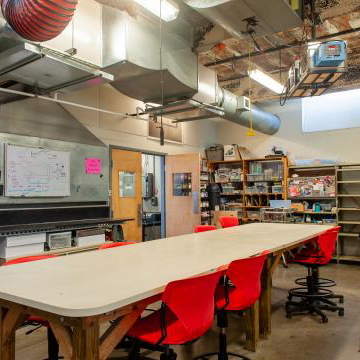 Learn the specifics about our four studios, the equipment and space available in each, and procedures for rental and open studio participation. The 2,560-square-foot space accommodates both large and small teams. 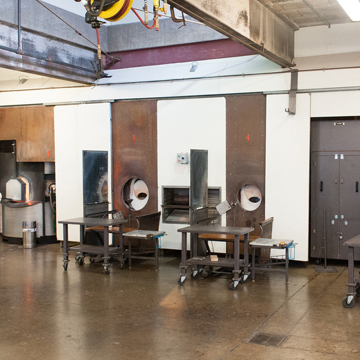 Two 1,000-pound-capacity, state-of-the-art Wet Dog furnaces run 24/7 at a temperature of 2,100˚F to continually provide quality clear molten glass. There are eight workstations. To learn more check out the Hot Shop. 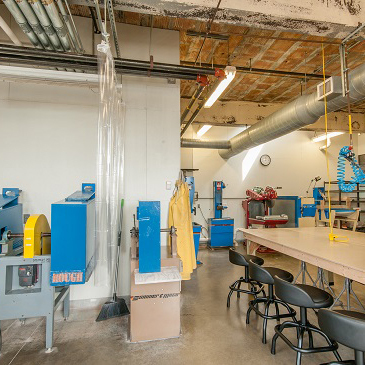 PGC’s 950-square-foot kiln shop has flexible space for kiln forming, with state-of-the-art ventilation, an individual mold making room, and convertible clam shell annealers. We are often joined by world-renowned kiln artists, including Susan Taylor Glasgow, Kari Minnick, and Helen Stokes. To learn more, check out the Kiln shop. 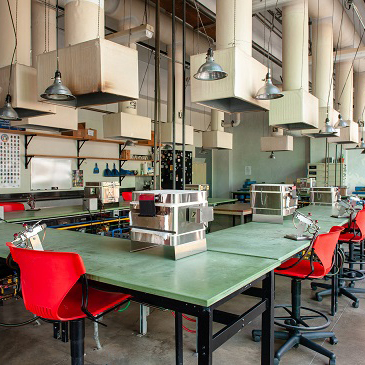 PGC’s air-conditioned flame shop is 900 square feet and equipped with 12 workstations, each fully equipped with Nortel Major/Minor torches, a benchtop annealing kiln, a ventilation hood, and a full complement of glassworking tools. To learn more check out the Flame shop. There is no project that is too ambitious for our Czech lathes and the arsenal of sintered diamond wheels available. PGC has been fortunate to host world-class cold working instructors, like František Janák, Jiyong Lee, and Kathy Elliott. To learn more check out the Cold shop.